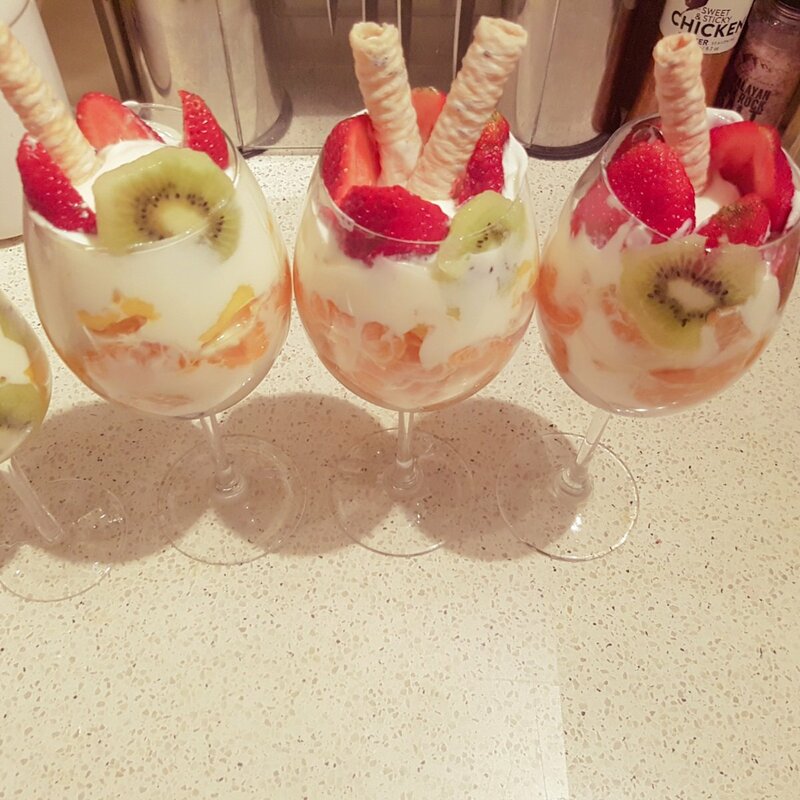 The classic trifle deserts are my all time fav. When i want to give my guest a classic treat after a delicious meal l don’t look any further. It looks classic and its a mind blowing one. Very easy to make. 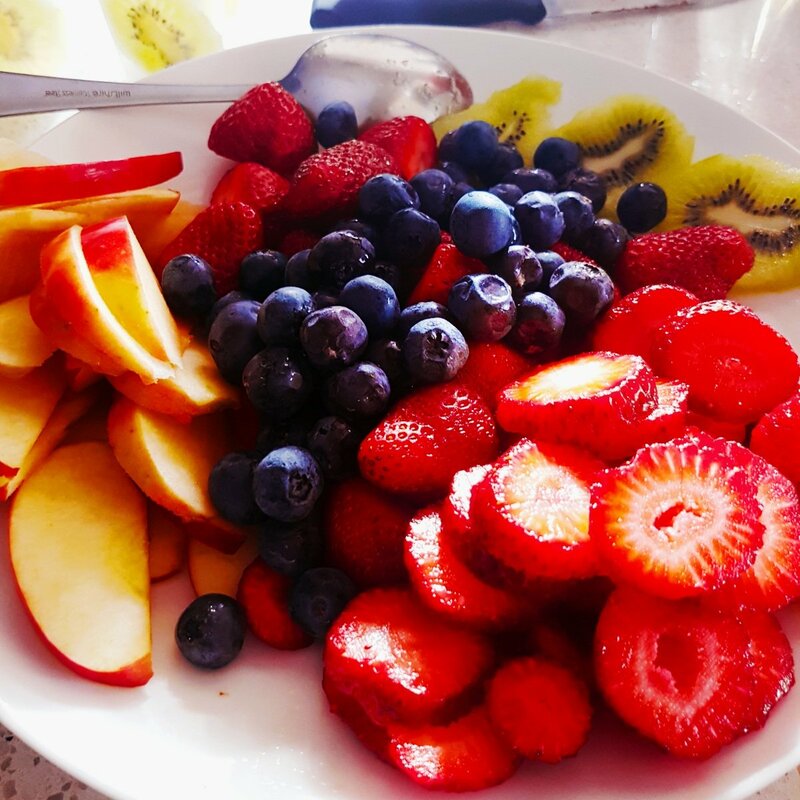 Assorted fruits ( mandarine, strewberries, blueberries and kiwis. 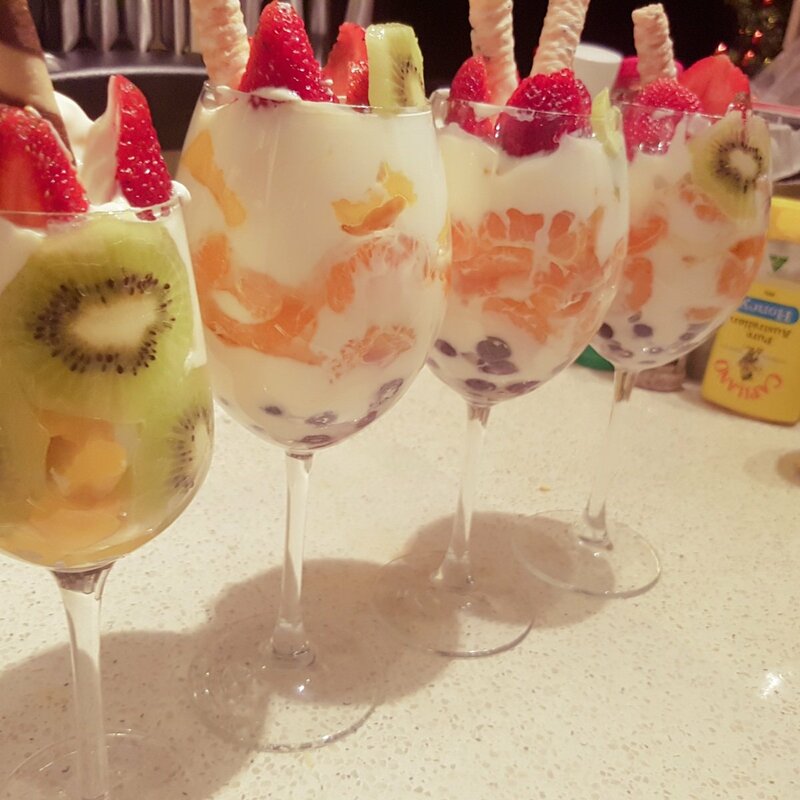 Place a layer of fruit and greek yogurt layer. 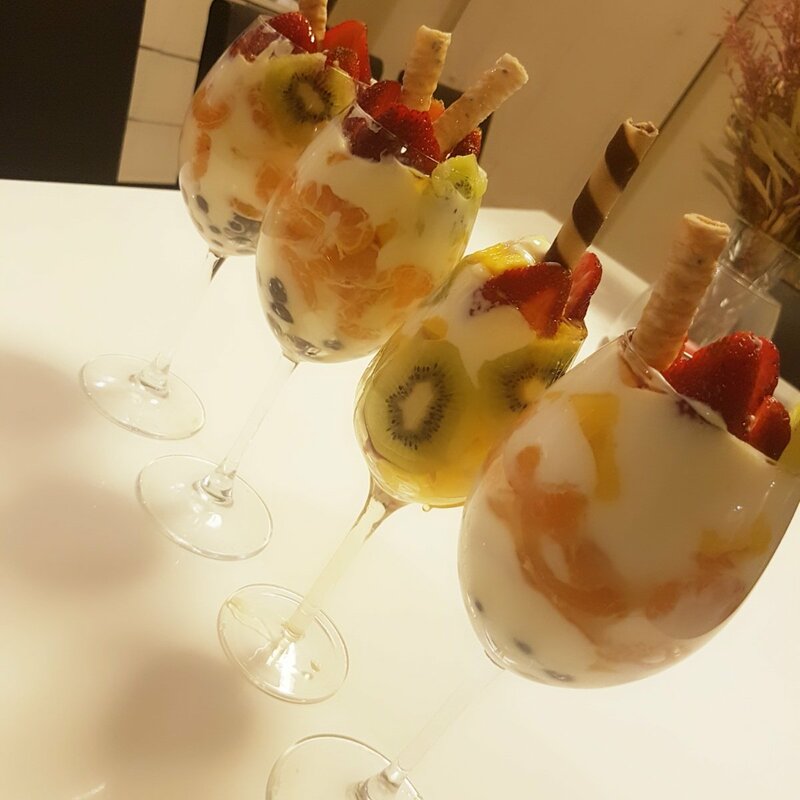 Keep changing fruits in the different layers. Grace the top with some honey and serve. This is the simpliest triffle recipe i have ever made. This is for people who dont have much time on desert. In 10 mins you can serve this delicious goodness to your guest .